Discover everything the Hub has to offer with access to a collection of powerful sales tools and valuable marketing resources across virtually every product line on a single website. 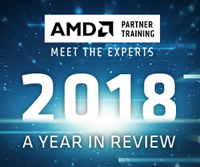 Join AMD’s CMO, John Taylor, and AMD’s Global VP of Marketing, Ron Myers, on December 13th as we look back on a year filled with innovation, achievements, and a look into what lies ahead. 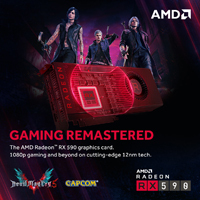 Check out the tools designed to help you market and sell the AMD Radeon™ RX 590 graphics card, built on innovative 12nm tech to give your customers outstanding performance for 1080p gaming and beyond. With the release of the AMD Radeon™ RX 590 GPU, AMD Ryzen™ Processors and AMD Radeon™ graphics continue to prove they are the ideal choice for PC gamers in today’s latest games. Check out this video from For Gamers for the latest competitive comparisons and benchmarks. 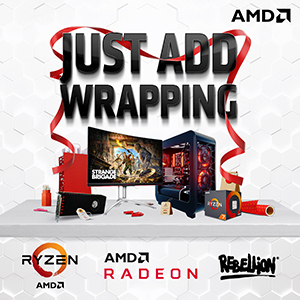 Help your customers make the easiest decision to purchase world-class AMD tech this holiday season. Download the toolkit with digital and print marketing materials.